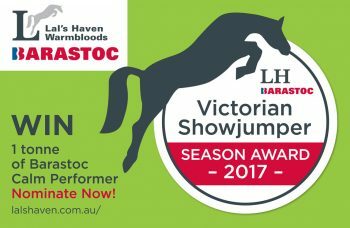 Barastoc & Team Joyce are very pleased with the listed showjumpers who kindly nominated for the Victorian Showjumper Season Award. Please be aware nominations closing soon end of December 2017. 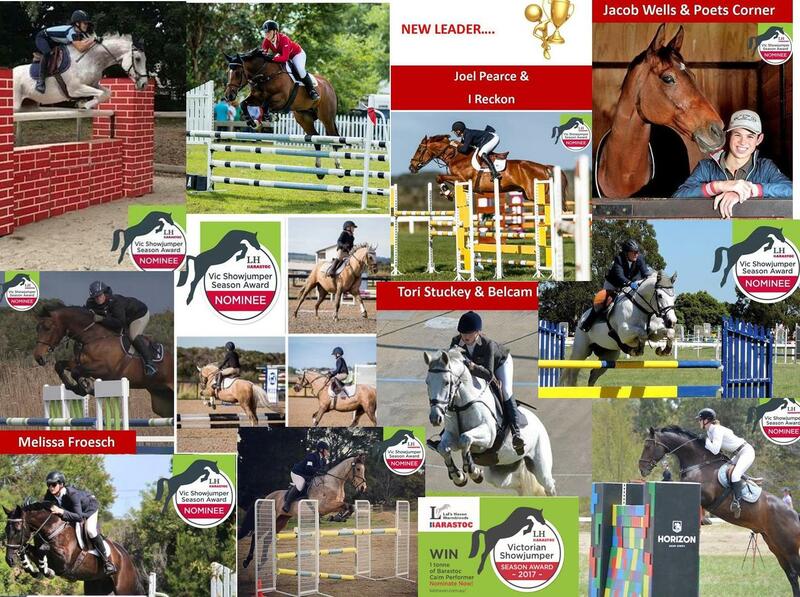 We are sure that the new year will bring many changes on the leader board standings. With six months to go the massive prize of 1 tonne Barastoc Calm Performer could go to any body on the list. 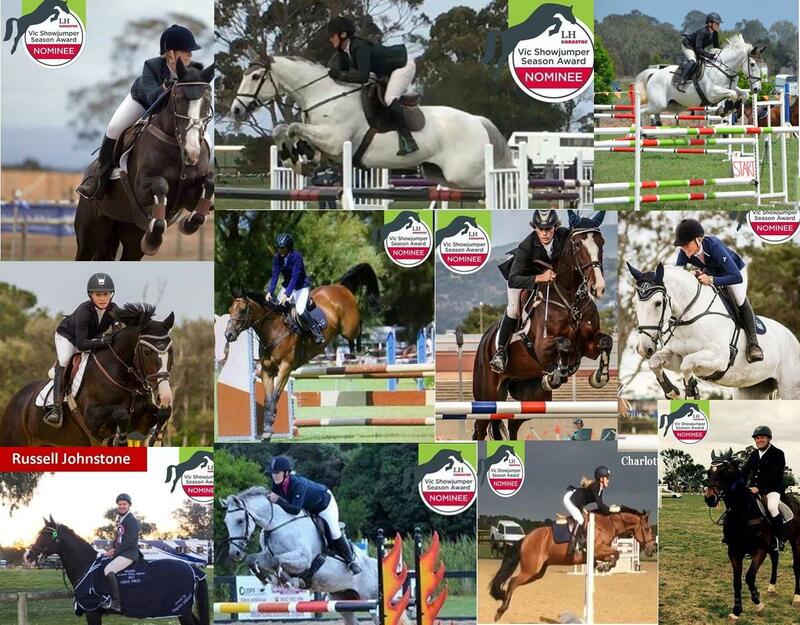 Ages of riders vary greatly, starting with 10 years right up to the most mature showjumpers who have been competing for well over 30 years. The concept of this competition was to offer a grand prize with no chosen winner. Only each individuals performance luck and results will determine the outcome. We thought the EA Showjumping placing point system which has been used for many years was the most obvious choice to follow. This sytsem is open for all to follow and see in black and white. Combinations that place 1st receive 4 points , 2nd 2, 3rd 1. These must be written on the performance licence. Only official classes count. Barastoc & Lals Haven wish to take this opportunity to again thank you for taking part. Enjoy the season ahead. Please keep forwarding me your results. Well done to all stay tuned for the grand winner!! Can you enter the Barastoc competition if you are in NSW. Also is there a form we need to complete?